A minister of the Canadian Cabinet claims he was discriminated against during a TSA check at Detroit's airport. The treatment of Mr Navdeep Bains, who is a Sikh and thus wears a turband, caused Canada to launch an official complaint to the US government. 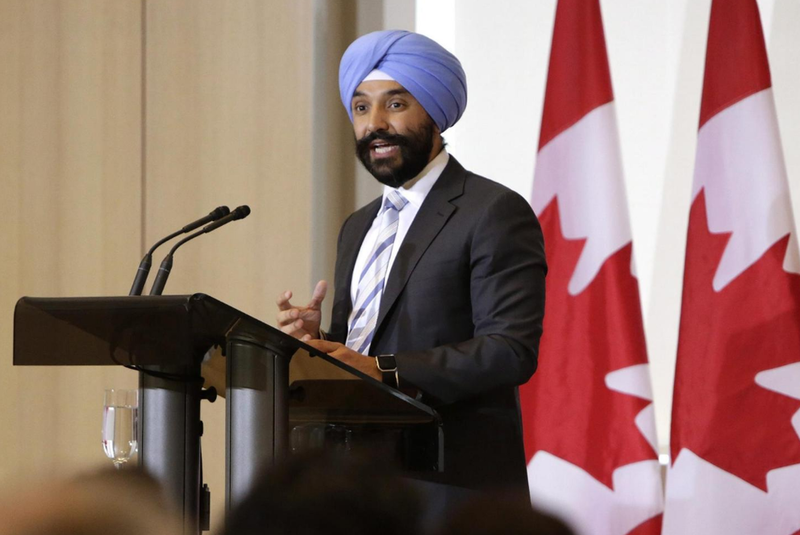 The minister for innovation, science and economic development told officials he was asked to remove his turban at Detroit Metro Airport when travelling back to Canada. He said that "the experience made me uncomfortable," claiming the security agents were "very insistent and very difficult." For him, the fact that they asked to remove his turban was akin to "being asked to take off my clothes." "I was very frustrated and disappointed that this occurred but ultimately I was allowed to fly. But it was because of who I was and that should not be the case. It doesn't matter what your status is and what your position is." Canadian foreign minister Ms Chrystia Freeland stated that Canada wants to "support all Canadians travelling across the border." Mr Mike England, a spokesman for the TSA, explained: "All persons wearing head coverings may be subject to additional security screening, which may include an officer-conducted or self-conducted pat-down. TSA does this to ensure that prohibited items or weapons are not concealed beneath any type of clothing and brought onto an aircraft. This policy covers all headwear and is not directed at any one particular item or group." "We recognize that passengers may be unable or unwilling to remove items for religious, medical, or other reasons, and should expect to undergo additional screening protocols." Apologies should be given to this man who is clearing honouring his faith with grace and devotion.